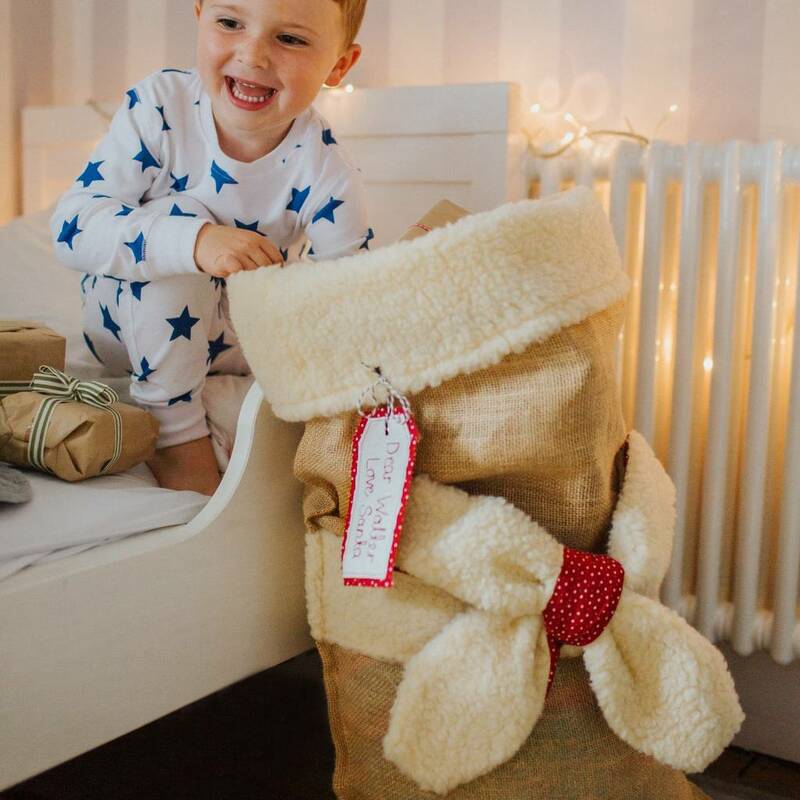 A beautiful handmade, personalised Christmas sack with embroidered name tag. 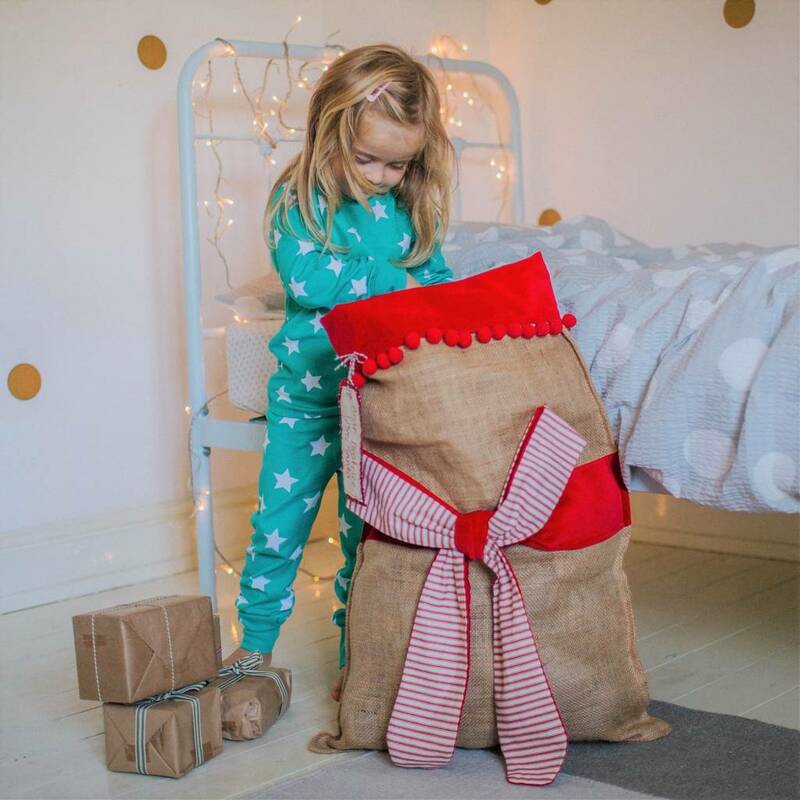 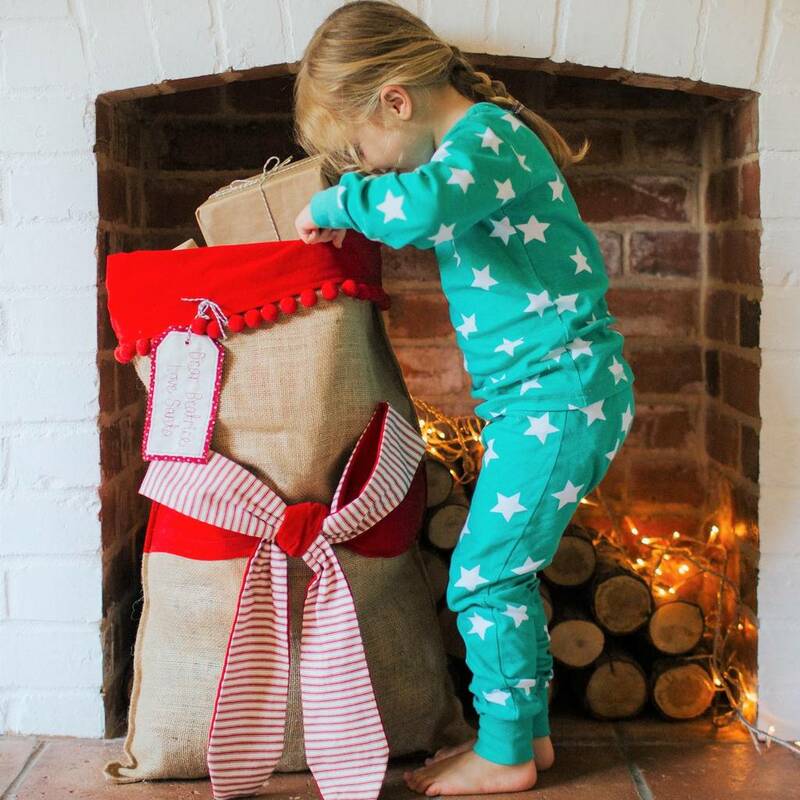 The personalised Christmas sack is a wonderful way to deliver your presents this festive season. 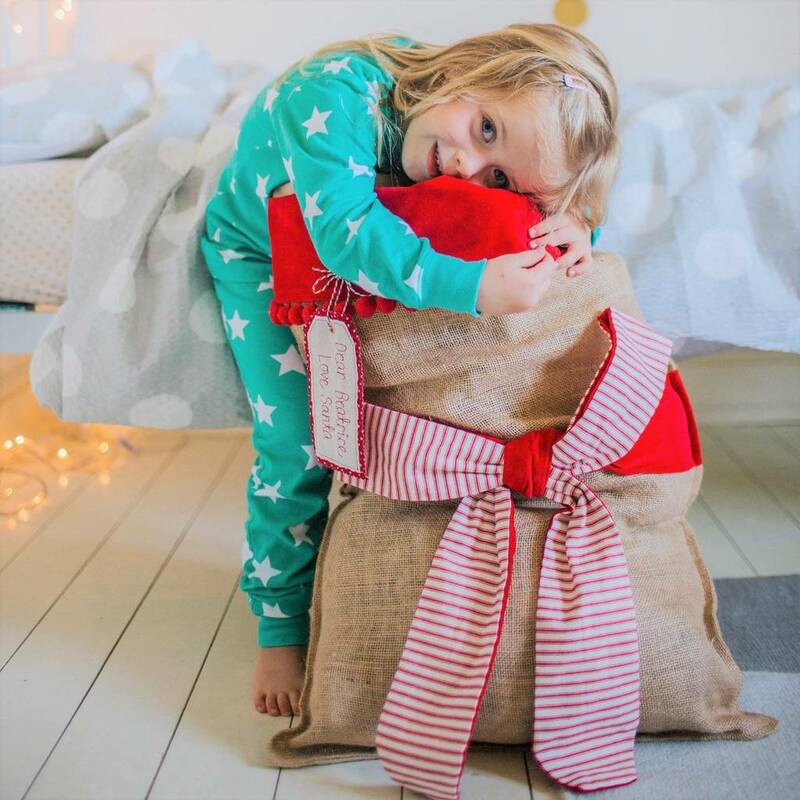 It is nice and large so can cater for the most generous amount of Christmas presents and is made from high quality hessian, a red velvet cuff with a pom pom trim and a striped bow. 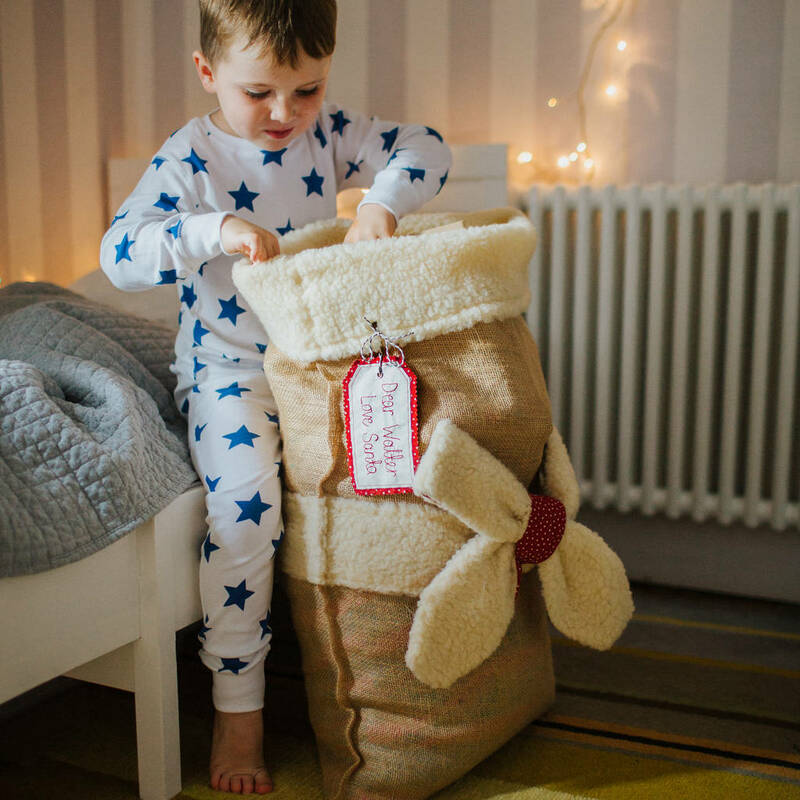 Suitable for all ages your personalised Christmas sack can be a family keepsake for years of enjoyment on Christmas morning. 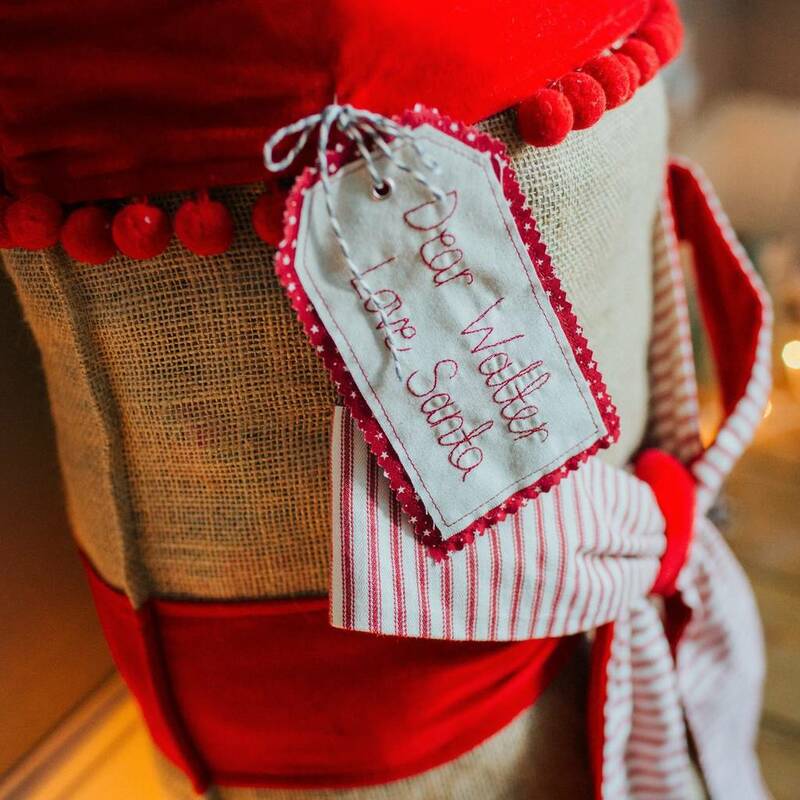 Available with either a red stripe or faux sheepskin bow. 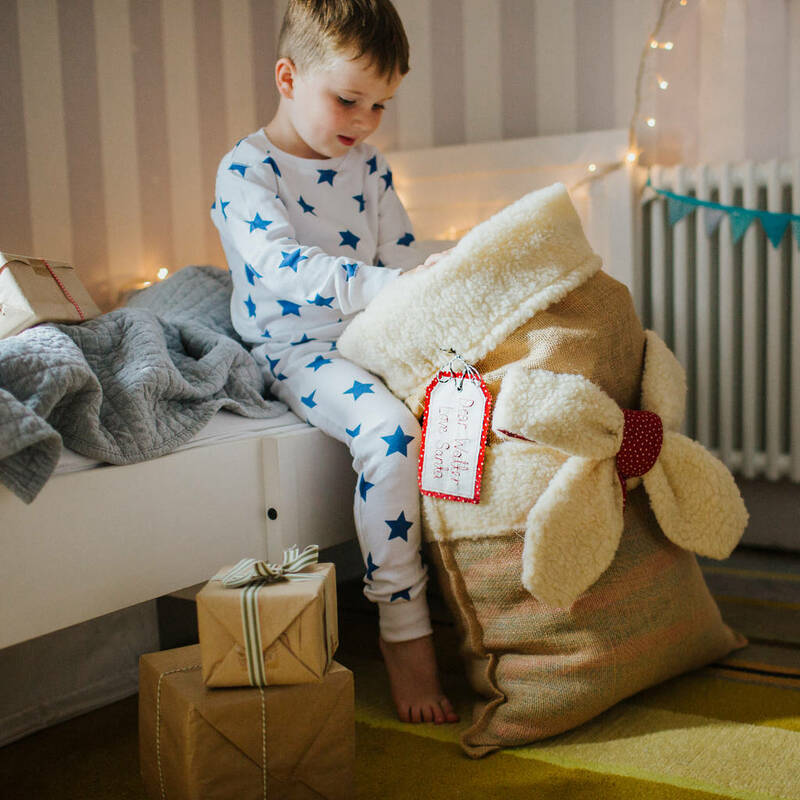 Please select your choice from the drop down menu when ordering. 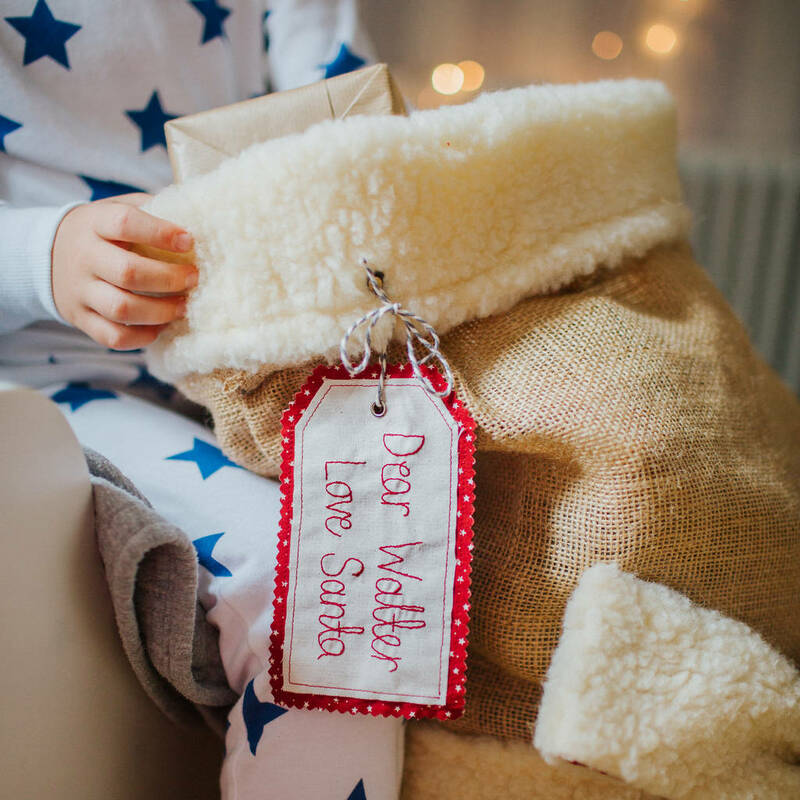 Your christmas sack can be personalised with your own freehand machine embroidered gift tag directly from Santa. Enter your name in the space provided and it will be stitched onto your tag with love from Santa in red thread with a string tie all finished in the North Pole!! 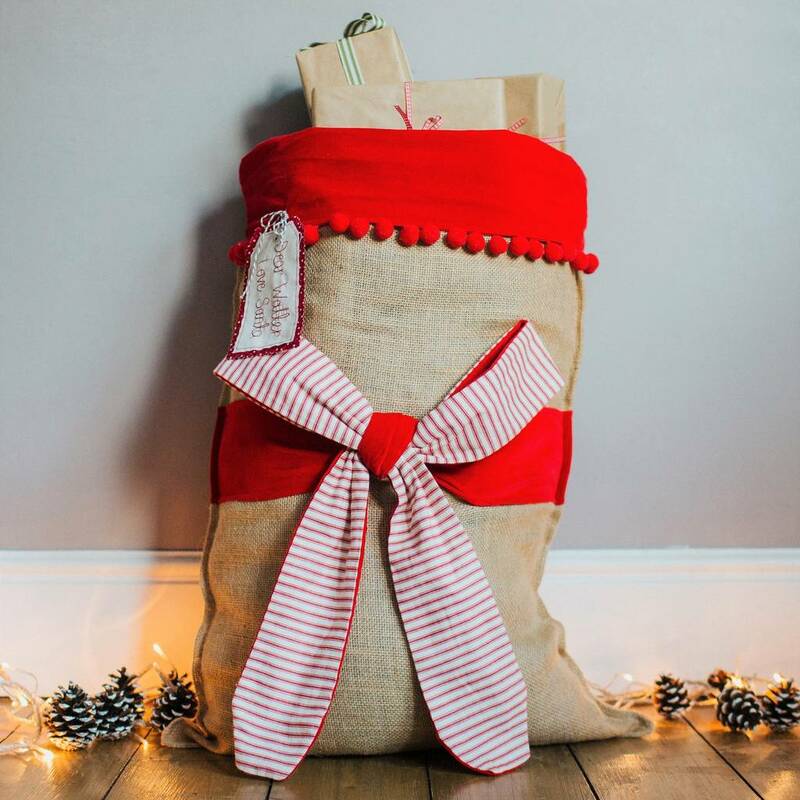 Please note, hessian is a natural material, therefore there may be slight variations to the weave of each sack.